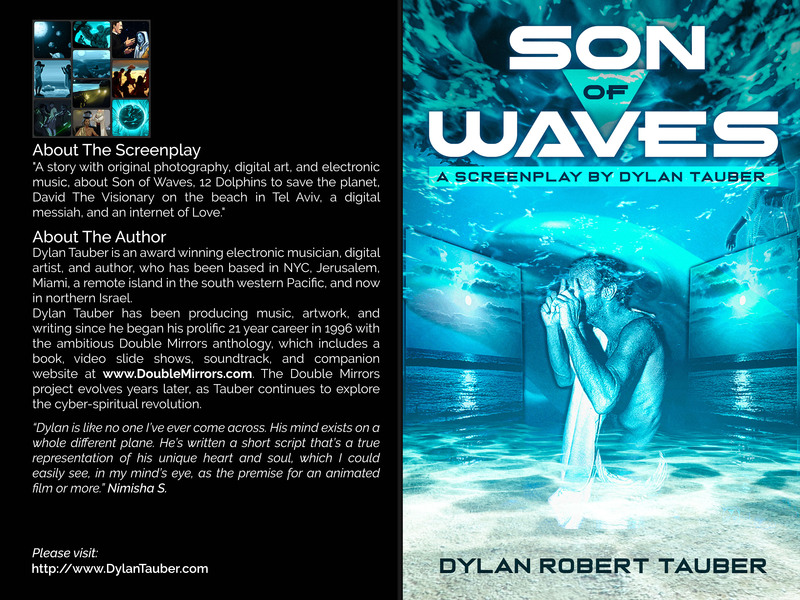 "Son of Waves" : A Screenplay / Short Story by Dylan Tauber. A story with original photography, digital art, and illustration, about Son of Waves, 12 Dolphins to save the planet, David The Visionary on the beach in Tel Aviv, a digital messiah, and an internet of Love. All writing, photographs, digital art, and music, copyright © 2018. All rights reserved by Dylan Tauber. Dylan Tauber is an award-winning electronic musician, artist and author who began his prolific career in 1996 after graduating from Columbia University. 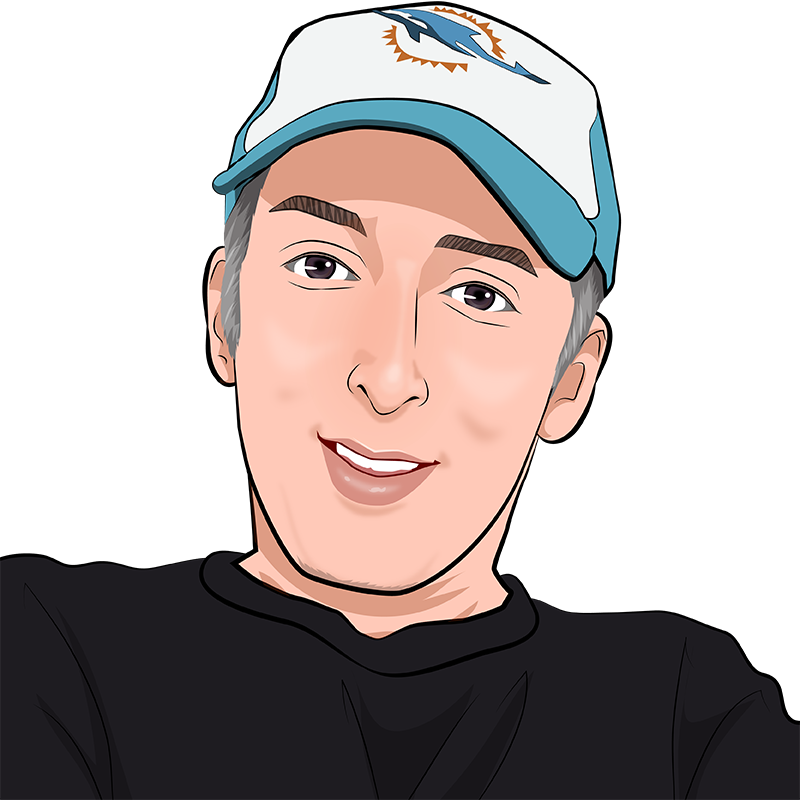 He operates a network of 21 websites, an online imaging and photo gallery, and a video archive that has attained over 2.7 million page views. He's released two books, two eBooks, 12 music albums, and a picture book of his photography and digital art. His music has been featured on more than 70 radio stations, reviewed in over 40 music publications, and his music video, "He Loves Carmen Remix" was shown on Channel 98 TV in Israel. "Dylan is like no one I've ever come across. His mind exists on a whole different plane. He's written a short script that's a true representation of his unique heart and soul, which I could easily see, in my mind's eye, as the premise for an animated film or more." Read (or listen to) the story of 21-year-old Son of Waves and his meeting with the new Messiah, David. Learn how, together with a pod of twelve dolphins, the Korean Tae-Kwan-Do team, and a group of Shin Bet bodyguards, they save the world from evil. This is just a small part of the author's universe, which you can visit via his multiple websites. He displays a powerful imagination and a depth of compassion for mankind. The book is illustrated with his own photographs and digital art, while the audiobook includes his electronic music and art. This screenplay would make a great short, animated film as a vehicle to spread the message of peace and love. "Love and you will live." All work © copyright, 2018-2019, by Dylan Tauber / Son of Waves Studios. All rights reserved.